The key to the perfect yorkshire pudding is to ensure the oven is very hot, trying to cook them on a lower heat with meat or potatoes just won’t give the right results. Preheat oven to 230 degrees centigrade. Add the Milk and Eggs into the bowl and whisk on high speed for around 2 minutes until the mixture starts to turn a little frothy on top. Bake for 25 minutes or until golden brown and risen nicely. Tried these today and they are delicious. They work and taste just as good as ones made with ordinary flour. Thank you. I’ve been looking for this recipe for a long time. Didn’t rise. Followed to the letter. Is not a rising agent or even just fizzy water required? There are a couple of reasons they don’t rise, normally it’s because either the oven is not hot enough or the mixture was not beaten well enough. Temperature is a common problem if you have lots of things in the oven as it can struggle to reach the required heat. As for raising agents, the eggs act as a natural leavening agent so as long as they are beaten in well enough and cooked at a hot enough temperature they should rise beautifully. Well I have to say mine did worked! I think the crucial points were 1. heating the oil to a high temp, I used rapeseed oil. 2. beating the mixture for 2 mins with a whisk just before you’re going to pour the mixture in because the G.F flour sinks to the bottom of the bowl 3.to keep oven hot, so shut the oven door while you pour the mixture into the tin and 4. don’t open the oven until the time is up. I also finished cooking the roast potatoes at the same time. 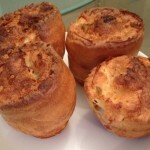 Tried these Yorkshires today as we have a friend who is wheat intolerant coming to us for Christmas. I followed Anne’s advice and these turned out perfectly and taste great too. Yummy! Thank you! My first success with gluten free flour. I made an adjustment and added an extra egg white which makes them crispy on the outside and once risen stops them falling and are then ideal for reheating so you can make batches of them if you want. Every one loved them. Hi just thought i would let you know, i made Gluten free toad in the hole with this batter. Plus Gluten free sausages. I added some parsley into the batter. It worked a treat. However i may try adding a teaspoon of gluten free baking powder just to give it an extra lift . Thank you so much for this recipe . Brilliant recipe, thank you. I added the extra egg white as suggested above and made an excellent toad in the hole, using flour from Dove Farm, which was enjoyed by all, including guests who are gluten intolerant. Amazing! Thank you. Works well dairy free using semi-skimmed goats milk! Yorkshire puddings to be proud of. My family were all very happy at dinner this evening, made our roast extra yummy! 5 stars from us! i’m trying to master yorkies on my lidded bbq as i always find the oven too busy with the meat, roast veggies and potatoes. after trying 20+ GF recipies, last night’s attempt was by far the best & made 2 coeliac kids very happy! i doubled everything and chucked in 2 extra egg whites. I’m amazed! I used to make cracking Yorkshire puddings with wheat flour. 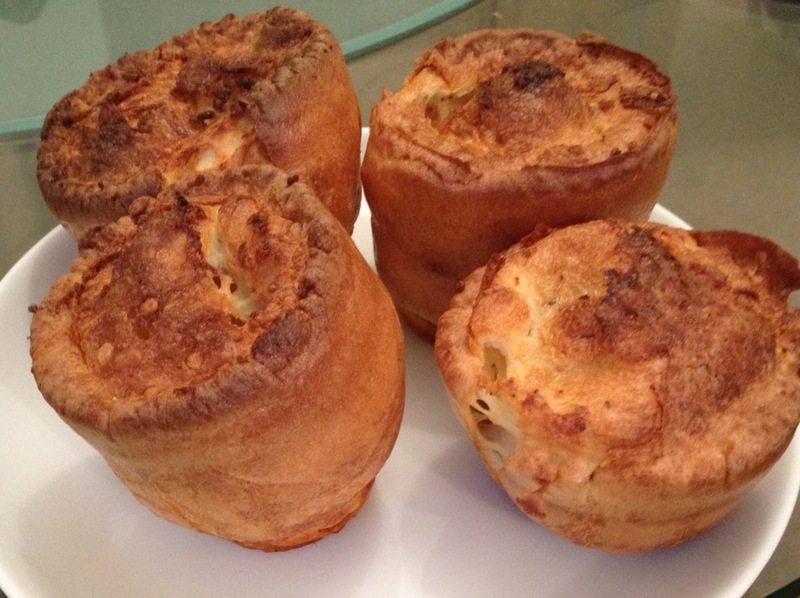 If ever I went to stay with friends I would have to make Yorkshire puddings. Then I discovered I was gluten intolerant a couple of years ago and, after several attempts, gave up trying to make gluten free ones. Suddenly here’s this wonderful recipe that basically follows the same method as my old recipe, except that I used water instead of milk (I thought the mix was lighter) and bingo! Thank you so much for making an old man happy!